^ Chronology. California Counties. California State Association of Counties. [2012-05-14]. （原始内容存档于2012-05-13）. 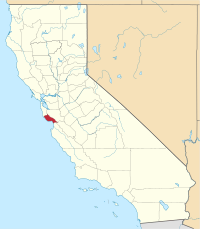 ^ Santa Cruz County QuickFacts from the US Census Bureau. January 2, 2008 [2008-04-22].